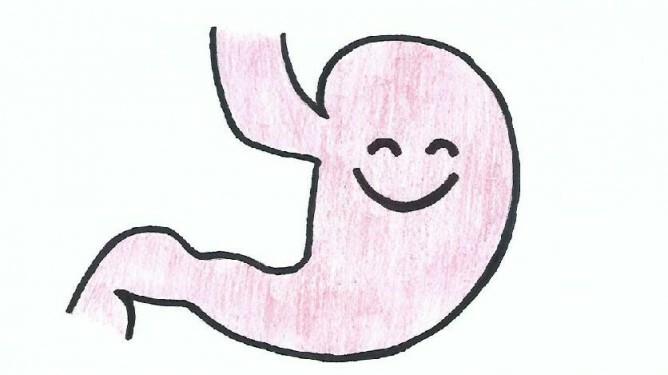 If you’ve ever had digestive disturbances like a bloated stomach, you’ll know it’s not very comfortable. So, it’s always nice when we solve such a problem for a customer. I was most excited to hear from Derek that we had some feedback from a customer at the Tamworth Grower’s Markets recently that our sausages are the only ones that she has found that she can eat! The others make her feel bloated. How fantastic that we can provide this product for her! I don’t know this for sure, but it is my guess that the preservative added to most other sausages is what is causing this customer’s discomfort. Given that our sausages are preservative free, this may well be the difference. Our sausages are also gluten free, and while gluten may be an upset for some, I reckon it’s the lack of preservative that’s the thing creating the difference and a happy tummy for our customer. And if you’re at all aware of the link between gut health and mind health (which are very close), then you would realise that we all should be as kind to our gut as possible. There is more and more evidence of the importance of healthy gut biota (including a huge range of bacteria) on mood and health. Given that preservatives are put into food to prevent spoilage by suppressing microbial and bacterial growth, what makes us think that they stop these effects once they enter our digestive tract? We have a second brain! Wait…What!? Did you know we have a ‘second brain’? There are a network of neurons embeded in the lining of our gut that is partly responsible for both mood and influencing disease. According to Scientific American, 90% of the information moving along one of the main nerves connecting our brain to the gut, actually goes in the direction from the gut to the brain! Upset in this second brain (known as the enteric nervous system) has been connected to autism, depression and even osteoporosis. The bacteria of the gut are believed to ‘communicate’ with this second brain. Fascinating, and to date not well understood, but despite the relatively low level of understanding of this ‘second brain’ and how it interacts, I think it’s safe to say that the more we support our guts with good, whole food that is right for each of us personally (because this will vary between us), then the better off we’ll be – mentally and physically. But as I always say – I’m not a doctor or naturopath, so don’t take my word for it. There’s heaps of information and research available – take charge, understand and be proactive about your health – it’s empowering! As a final note, there’s also nothing like listening to your body. Once you cut out processed foods, it becomes easier to isolate certain food types that don’t sit well with you. So listen to your body.